The transmission control module (TCM) is a vital component of any vehicle with an automatic transmission system. Rather than relying on hydraulic or mechanical control over a transmission system, newer vehicles use a transmission control module instead. A car’s TCM will likely never need replacing, but if you have a bad transmission control module, immediate replacement (or repair) will be necessary. This module is basically a computer which communicates information to other computer systems within the vehicle. The purpose of the transmission control module is to help the automatic transmission choose the best gear to be in at any given time. That way, the driving performance and fuel economy will be at the optimal level. The transmission control module can often be found below the cover at the back of the transmission case. It should be just below the engine control module’s position. Sometimes it’s found under the center console in the interior or even under the hood near the battery or inner fender panel. If you ever have a problem with your transmission control module, you’ll need to have it inspected right away. A bad TCM will spell trouble for your vehicle and your ability to drive it. Fortunately, there are a few basic symptoms that you’ll most likely notice before this happens. If the Check Engine warning light illuminates on your dashboard, it could mean several things. 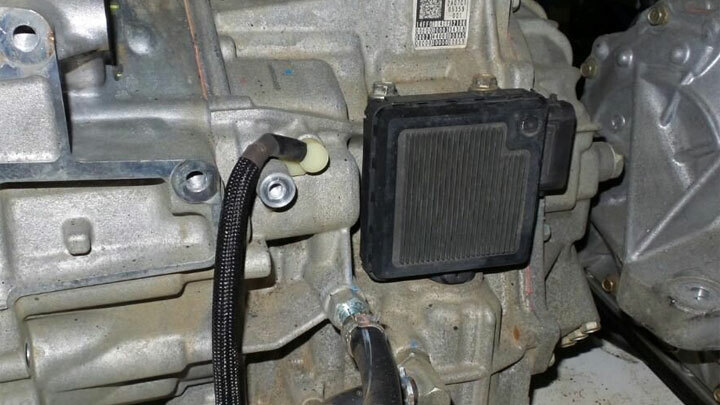 But if you notice any problems with your shifting in addition to the Check Engine light being on, then it is most likely a problem with your transmission control module or some other component of your transmission system. In any event, get your vehicle checked out immediately by a mechanic or use your own scan tool to check for any Diagnostic Trouble Codes (DTC). If code P0700 shows up, you likely have a problem with your transmission control module. Since an automatic transmission system relies on the transmission control module to do the shifting, a bad transmission module will cause incorrect or unintended shifting. This can prove to be anything from an annoyance to causing a serious accident. For instance, if your car shifts to neutral or any other gear that it normally wouldn’t shift into without warning, then your control module will likely need to be replaced. Otherwise, it will be very dangerous to continue driving. Unless you have a manual override option in your vehicle (example: paddle shifters), you will need to get your car towed to a mechanic and have the module replaced. As you gradually increase speed, your transmission should correctly shift into higher gears at the correct time. When this doesn’t happen, you’ll notice that your engine’s RPM simply keeps increasing instead of slightly dropping an upshift occurs. Because each gear has a maximum speed it can go to, you may never reach your intended speed if the faulty TCM refuses to shift to a higher gear. This is similar as above but in reverse order. If you’re cruising down the freeway and take an off-ramp, your transmission should gradually be going into lower gears as your speed decreases. At a stop, an automatic transmission should be in first gear so it’s ready to go when you need to start moving again. If your transmission control module is bad, you may still be in a high gear as you’re coming to a stop. When it’s time to start moving again, you’re in a too high a gear for proper acceleration which may even prevent you from moving at all. This usually presents itself as being either stuck in neutral or first gear. The transmission simply will not shift and you either won’t be going anywhere (stuck in neutral) or you’ll be limited by the maximum speed of first gear. The speed of your vehicle relies on cycling to various gears at the appropriate timing. If you have a bad transmission control module, then it will cycle to next gear too slowly. This will impact the momentum of your acceleration, causing you to lose speed rather than picking up speed. When you approach a hill, the shifting performance will be even worse. Worst case is when you’re attempting to pass a slower vehicle on a 2-lane road and your vehicle refuses to downshift immediately so you have more torque available to make a quick pass. Problems with your transmission system usually result in bad fuel economy. An automatic transmission is designed for optimal gear selection and timing to provide you with the best possible fuel economy. If you have a transmission control module that’s bad and affects this timing, then your engine will end up working harder than usual. This means it will consume more fuel than usual, causing you to spend more money at the gas pump. 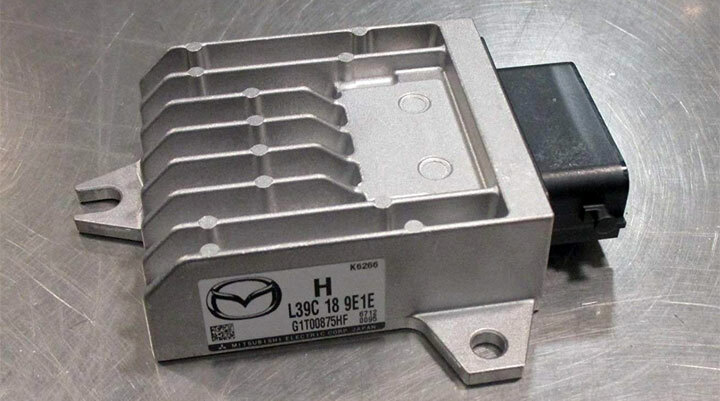 The replacement cost of a transmission control module will be anywhere from $500 to $900. You can expect the parts costs to be around $450 to $700 while the labor costs will be around $50 to $200. Of course, you can order a new TCM online and ask a mechanic what their hourly labor rates are. However, most of the cost for this replacement job goes toward the parts cost itself and it can vary greatly by car manufacturer. You can expect taxes and fees to be added to the total cost as well. Another option is to repair your TCM. The transmission control module repair cost will in almost all cases be lower than replacing with a new module. On average, expect to pay around $300 to repair your transmission control module. While most TCM repair businesses will offer a warranty of some sort, it does pose a bit more risk if the repair is not done right. Also, you may need to ship your bad TCM to a non-local location so if you can’t afford not having your vehicle for a few days, replacement would be the fastest method. What would cause your transmission to fail? If its been diagnosed with TCM fail what are the main reasons it has failed? Just like any other computer, failure of the TCM is often due to an electrical issue (such as a voltage overload), water (corrosion builds up and eventually causes a short circuit), or damage due to too much vibration or stress. Kindly I need help please. My vehicle is unable to start, is just cranking. We tried to check the all electrical components and they are working. What could be the problem? Unfortunately it could be other things. Bad fuel pump, clogged fuel filter, fuse, and bad crank position sensor come to mind. Not sure what a bad motor mount would have to do with your first gear issues. I can’t tell if you’ve scanned the ECU for trouble codes but if it was the transmission control module, it would show up there. I have a 2013 dodge dart areo 1.4l double clutch transmission. The TCMs were recalled but I had no idea of this recall until my transmission started grinding and clanking. Now my transmission is out. Is the tcm to blame for this. And if so. How am to go about getting the dodge dealership to pay for a new transmission in my car? In most cases, the manufacturer is required to fix the issue if it’s related to the recall. Contact the dealership. Will a bad TCM in a 2009 Chevy Tahoe hybrid cause the vehicle to not crank when you try to start it ? The TCM should have no effect on engine starts. I have a 2012 Chevy Cruze. The engine was slipping between gears 2-3 and 3-4. The tachometer would flare, and the engine would race before it shifted into a higher gear. It also had a rough downshift that felt like a jerk or pop of the clutch. It worked best at cold temperatures but had the most problems when it was hotter outside. I took it to a transmission specialist, and they determined that it was the “transmission control module”. They didn’t have to take out the whole transmission to get to it, but it was quite a bit a work and ran upwards of around $1,500 to fix. In the end it was worth it for us, because we weren’t in a position to trade up.